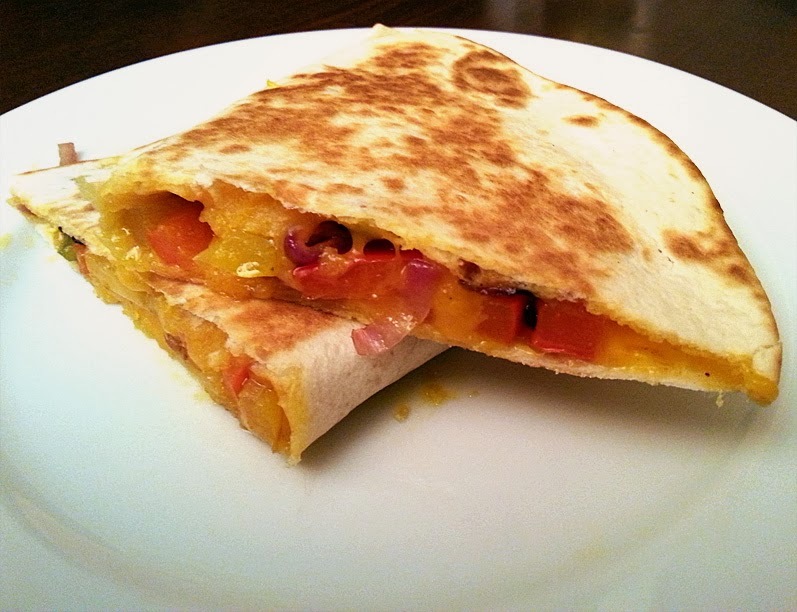 this easy vegetarian quesadilla recipe might come in handy. Preheat the oven to 400F. 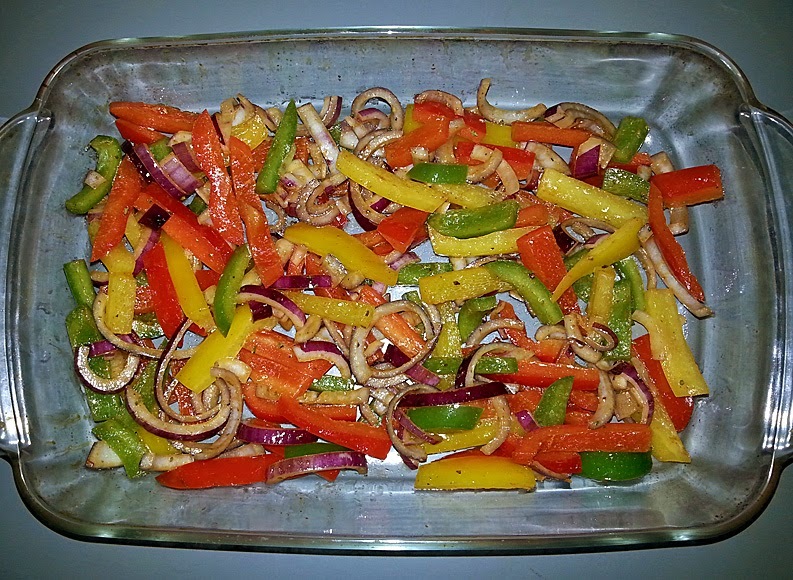 Cut the bell peppers and onions in strips and half rings. Place them in a large caserole dish. Mix up al the herbs and spices well and sprinkle the mixture over the vegetables. Add the olive oil and mix it all with your hands so everything is coated with the oil and spice mixture. Place the casserole dish in the oven for 30 minutes (give the vegetables a stir half way through). When the bell peppers and onions are done, heat a pan on the stove. 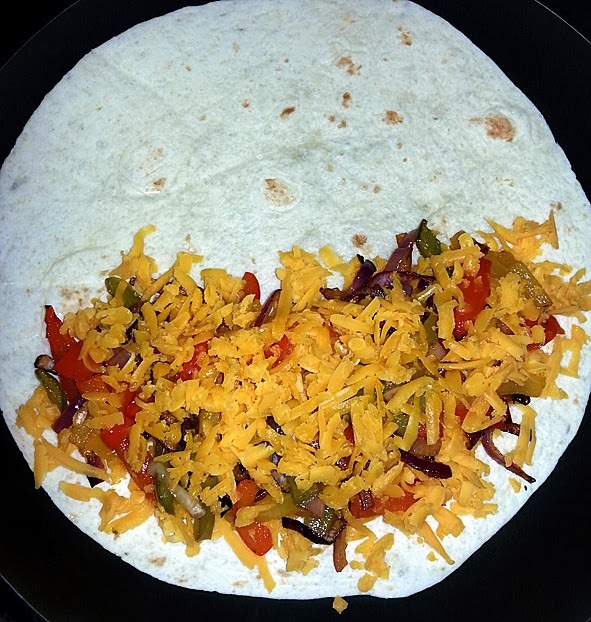 Place a tortilla wrap in it, add some grated cheddar cheese on one half of the wrap, then some of the pepper/onion mixture and finally another layer of cheddar cheese. Fold the tortilla wrap in half and bake both sides on medium heat until the cheese has melted.